anthony sent this to me. mary the jeyster told me about this, and re-enacted it. did you cry? okay did you smile? also did you see cute overload yesterday? they have a photo of the tiniest of turtles ! star bottomed elephant., originally uploaded by stephiblu. cutie pie elephant walks past me. 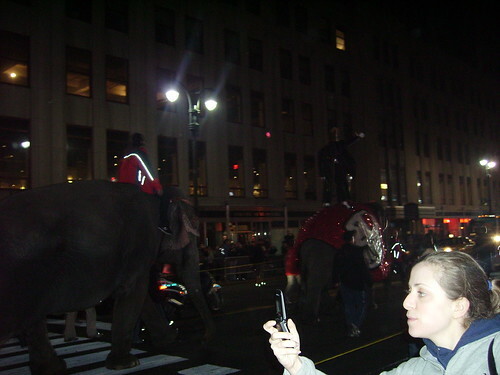 elephants., originally uploaded by stephiblu. walking through the streets of manhattan. elephant loves new york., originally uploaded by stephiblu. 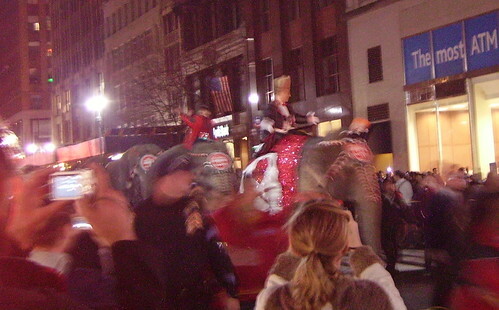 march of the elephants 34th st., nyc. elephants!, originally uploaded by stephiblu. 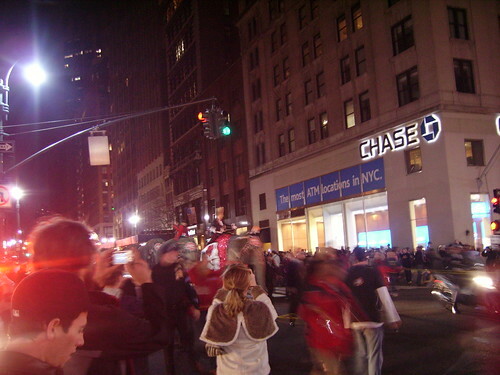 on the way to MSG. Elephants and Toll Booths, originally uploaded by redperm. 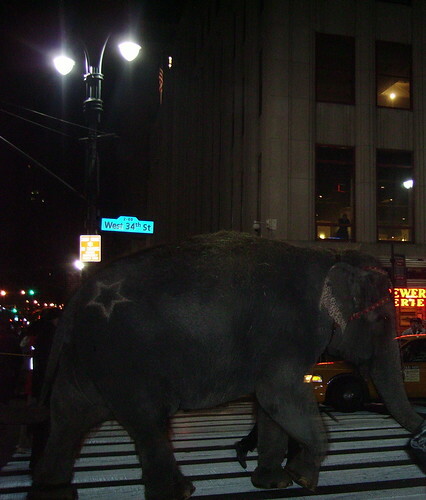 tonight is the night….the elephants walk to madison sq garden.